IT might sound like an easy way to pocket some extra cash, but opening the door to short-term tenants can be a property owner’s worst nightmare. 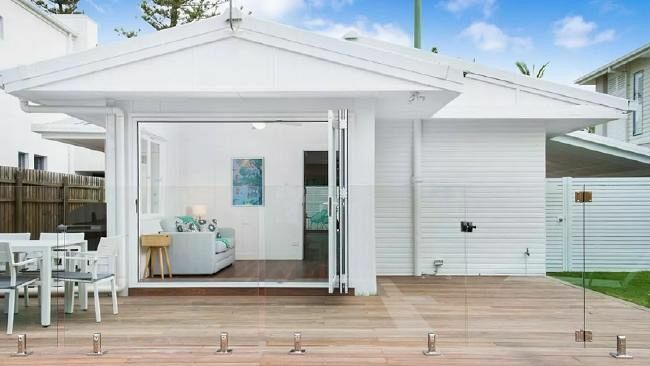 Listing a property on a short-term rental site such as Airbnb or Stayz can generate income of around $5000 a year for the average Australian host. But it can end up being more of a headache than a helping hand if you fail to read the fine print. Property management company MadeComfy has come up with some tips for potential hosts to understand what’s involved before listing their property online. Understand the purpose of the visit and make-up of the group. Don’t approve any large groups not suited to your home, check out previous guest reviews, and ensure photo ID for verification. Make sure your guests show courtesy and respect for the property’s permanent neighbours at all times. Make sure you have short-term rental insurance. Understand what makes a valid claim (broken windows, holes in the walls, large stains on the carpet or furniture, large scratches on new floors). Also understand what doesn’t make a valid claim (broken appliances due to normal wear and tear, lost cutlery or crockery — anything of value should be locked away, minor scuff marks). Make sure your property photography, description, and pricing is accurate and appropriate. While guests expect you to highlight the best points of your property, don’t tell porkies. Nothing guarantees complaints (and bad reviews) faster than overpriced accommodation that looks nothing like the listing. Understand the supply and demand of Airbnb listings in your area for the time you are renting out to set a price that maximises your returns and occupancy. It’s the little things that guests are most likely to remember and recommend about your property. Coffee machine? Make sure the pods are well-stocked. TV and airconditioning? Make sure the remote control batteries work. Unwanted creepy crawlies? Undertake regular, professional pest control. A great guest experience means great reviews for your listing — and that brings more future bookings and enables you to charge a premium. Running an Airbnb property takes time and commitment, so make sure you are in a position to give it both. Unless you can commit your time and headspace 24/7 to running the property, think twice, or get in touch with a property management service that can manage the process for you.